While kitchen cabinets grab all the headlines, the smaller spaces typical of most bathrooms make bathroom cabinets and their design more important per square foot. You simply can't have an efficient bathroom space without wisely planned cabinets. Plus, much like kitchens, you should never underestimate the impact your cabinets will have on the look of your bathroom. The color of the paint or stain can make for a completely different bathroom, and a revamped cabinetry can open up space while increasing storage at the same time. More than likely, the biggest decision you'll need to make for your bathroom cabinet project is whether the general design, capacity, and placement of your cabinets are working for your bathroom. New cabinets alone can transform the look of your bathroom and make for a great project, but a new cabinetry system is the only way to increase the functionality of your bathroom storage. Especially in smaller bathrooms, you'll want to make sure you're using every last inch of your space wisely. Plus, although it's rarely the first thing homeowners think of, new bathroom cabinets don't have to actually be installed in the bathroom. Built-in cabinets placed in an adjacent hallway can serve to open your bathroom and can be just as useful for larger items and medicinal supplies. With the number three market in the country, Dallas knows a thing or two about fashion. This includes knowing when and how to be bold without sacrificing a proper measure of classic style. 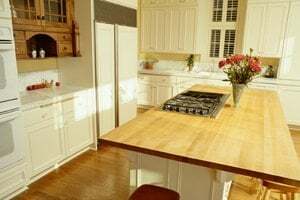 Custom built, authentic wood cabinets can be a stunning, second-to-none cabinetry that will last for the lifetime of your home, and can be refinished to its original condition several times over. Wood veneer and other alternative materials will be less expensive and can provide more staining and painting options. Stock cabinets will also cut down on the cost for homeowners on a strict budget, but are unlikely to fit in customized spaces, such as corners and other odd nooks. Often, knowing about the different cosmetic options and carefully choosing your Dallas bathroom cabinets can have just as much impact on cost and project satisfaction as the general design. At the same time, try to avoid becoming so fixated on the red cabinets you've always wanted that you forget to consider the plan and spacing of your cabinetry. Along with ratings and reviews for all our contractors, HomeAdvisor also compiles data on all the home improvement projects we process, including Dallas bathroom cabinet installation. This allows us to give homeowners some idea of what to expect from contractors' estimates and project lengths. With cabinetry, however, these estimates are particularly nebulous. Small, stock cabinet installation can't be compared to a comprehensive and custom-built cabinetry system. The difference can be thought of in terms of a few hundred dollars to several thousand, respectively. The good news, though, is that this also means no matter what your budget there are bathroom cabinets out there for you. Be warned, however, that you'll also be able to see the difference in what you put into the project. Consequently, if you know something needs to be done with your bathroom cabinets, but you're not sure what, or how far to take the project, use your Dallas bathroom cabinet contractors to generate ideas for your project. Chances are if you make it clear that you're open to ideas, your contractor will be more than willing to discuss your options with you and the relative pros and cons of each of these options. Naturally, you'll also want to talk to several contractors, as you may find that different contractors have different specialties. Much like bigger remodeling projects, a solid plan for bathroom cabinets will help ensure that things run smoothly and that you get the best cabinets for your budget. Comment: I need to remove top cabinet to make room for refrigerator. Comment: Not really cabinets, but book cases in a home office. Do you work with that type of project? Comment: Cabinets wanted reface in a shaker look. Drawers glide smoothly, and painted. Comment: Cabinet over refrigerator is sagging & causing one next to it to begin to sag. Comment: I would like to get an estimate for cabinets need to be re hung. in kitchen and bathrooms. Dallas Cabinet Contractors are rated 4.78 out of 5 based on 1,566 reviews of 117 pros. Not Looking for Cabinets Contractors in Dallas, TX?